LIU CHUN HAI Liu Chunhai was born in Heilongjiang, China's most Northern province, in 1966. After graduation from the Printmaking and Fine Arts department of Harbin Teacher Training School, Liu Chunhai worked as a printmaker and teacher for the following nine years. 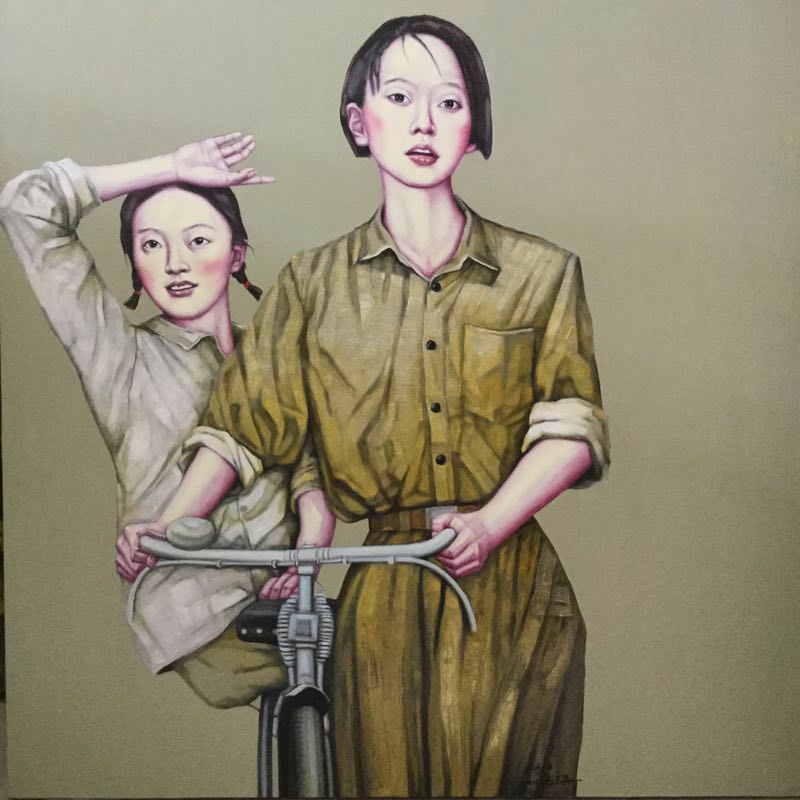 In 1966 he started experimenting with oil painting; exploring subjects related to the Cultural Revolution, mostly through female soldiers and propaganda posters from the period. 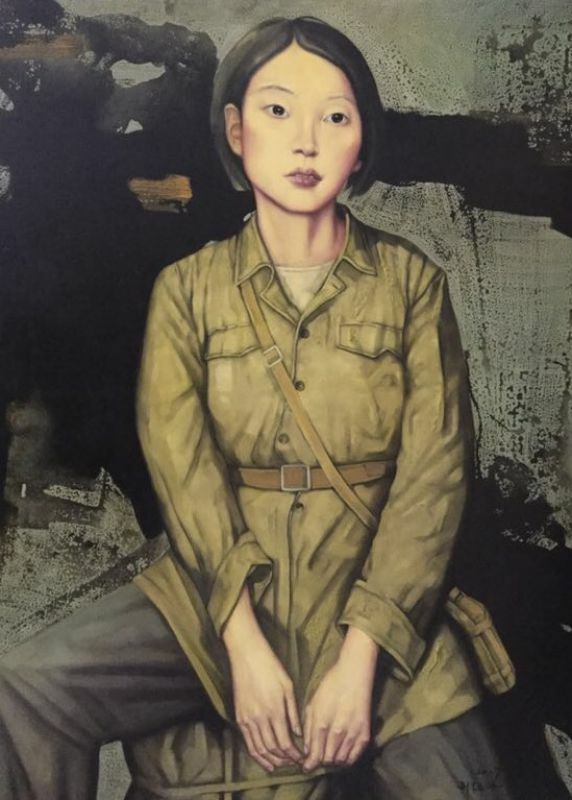 In 2001 he returned to printmaking and worked on a series of images including Mao, females and mixed memories of his childhood. These images were printed on newspaper using woodblock, silkscreen perplate techniques combined with ink painting on newspaper using woodblocks, silkscreen and copperplate techniques combined with ink painting. Like many other intellectuals of his generation, Liu Chunhai endured the harshest period of the Cultural Revolution. 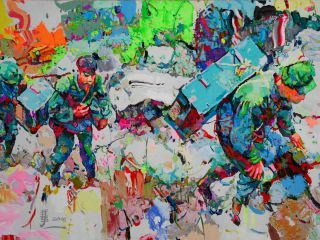 Unafraid to create works that boldly depart from convention, Liu Chunhai's audacious works tell the story of a man who refuses to stay silent about the grand disaster he witnessed. 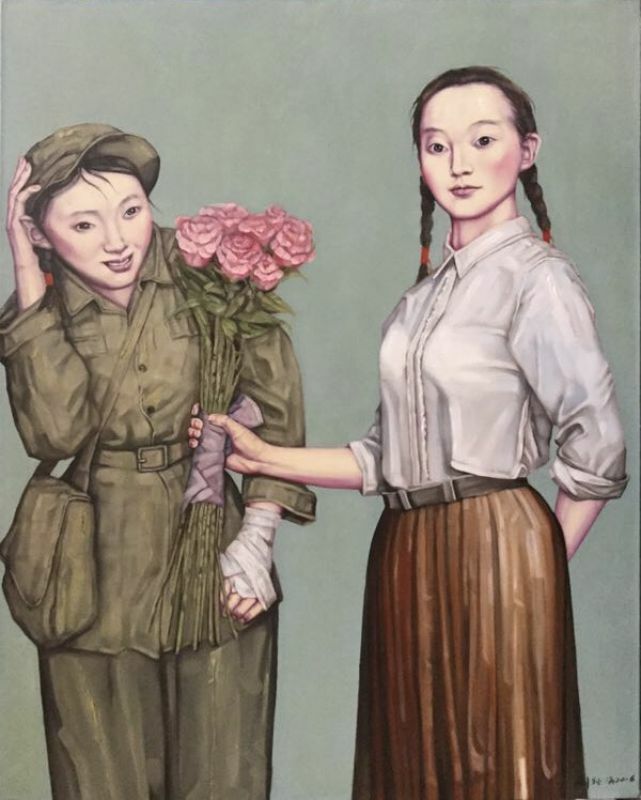 Liu's works show the true identity of girls across China who were at their prime of youth, inducted into Mao's army under the false pretext of collective patriotism and forced morality during the Cultural Revolution. 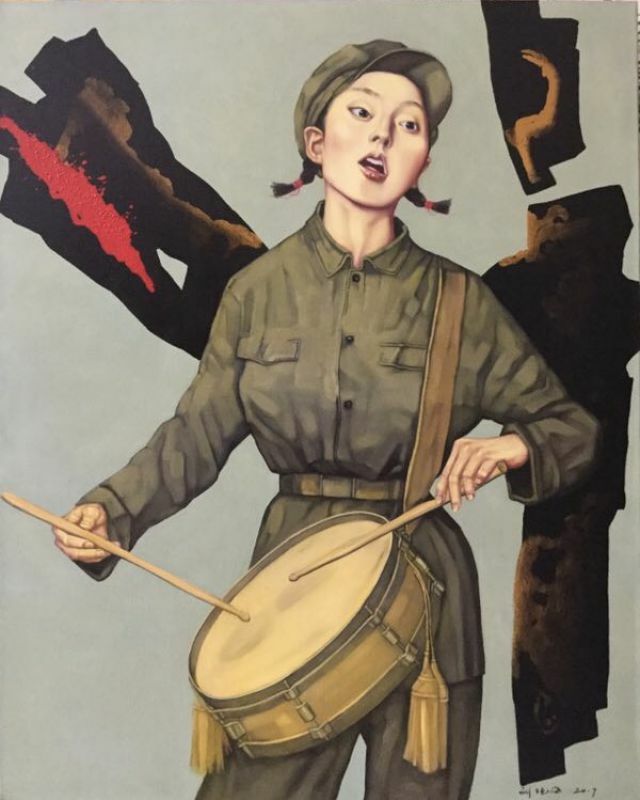 Visualising the hidden thoughts and emotions of an oppressed generation, Liu Chun Hai gives a voice to the inner desires of female soldiers that were trained to enforce Mao's idealism during China's notorious power struggle. Honouring them with a chance to live their lives on his canvases, he captures their burgeoning self-awareness as beautiful, intelligent women, wanton with potential and individual ambition. The abolishment of capitalism and any associated 'counter-revolutionaries' also banned the very objects featured in Liu's works such as lipstick, compact mirrors and painted nails. Liu presents a haunting portrayal of all that could have been for these promising young people. 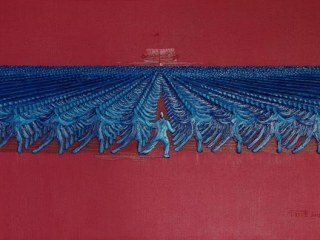 Widely-exhibited in China and abroad, his works have been collected by both public institutions and private collectors around the world, including ARD German Television, Freie Universitat Berlin, Grain Import And Export Association Of France, Embassy of Greece, Embassy of the United States, Embassy of France, Gold Ion Group in Hong Kong, Beijing Branch Office of the Associated Press, International Federation of Red Cross and Red Crescent Societies. 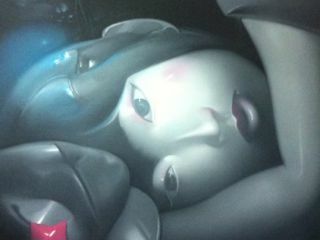 Liu Chuhai currently works as a professional painter and printmaker. 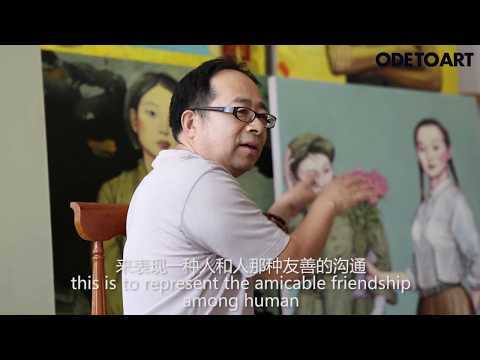 He is married to Zhao Tianqi, who is also a successful printmaker.